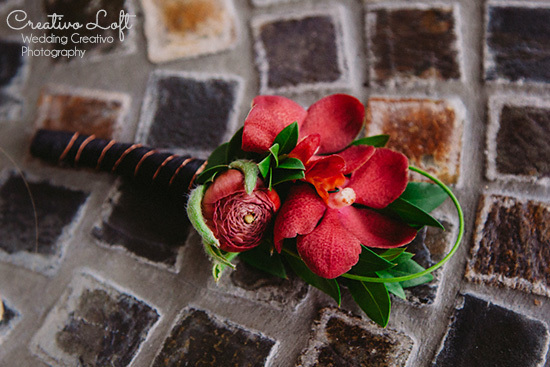 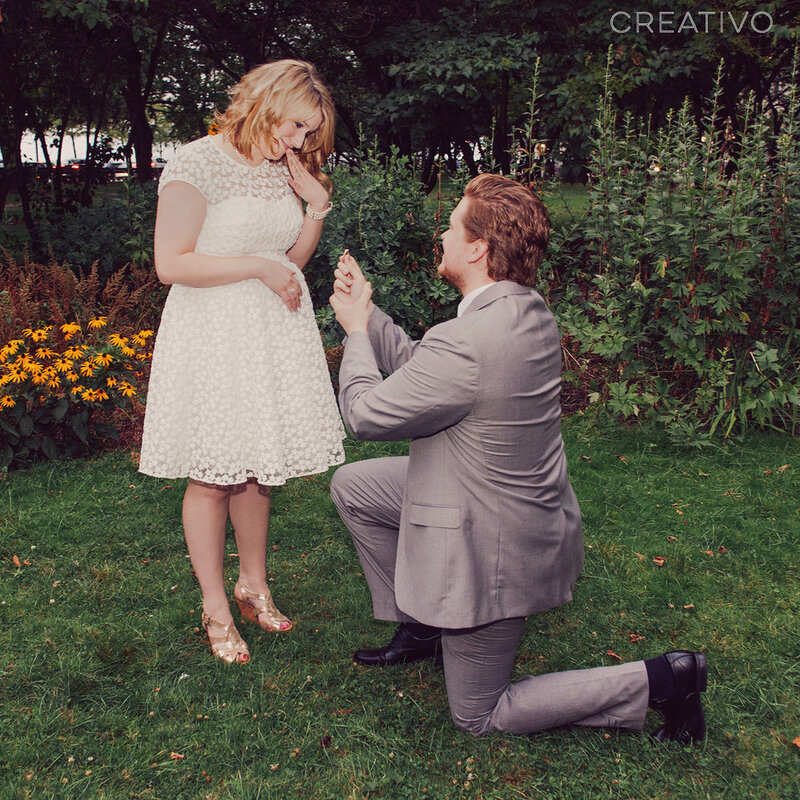 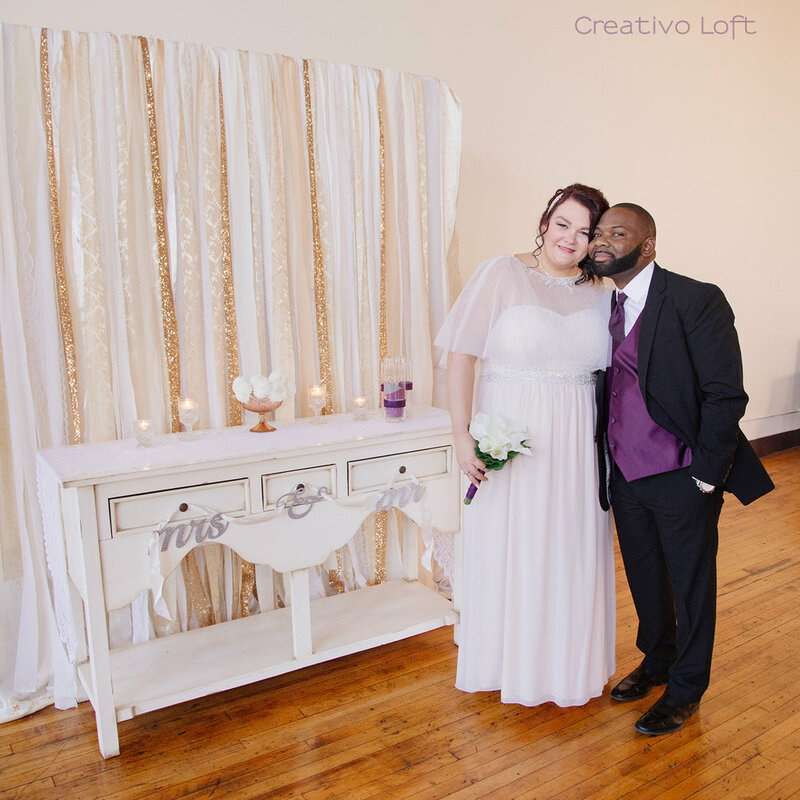 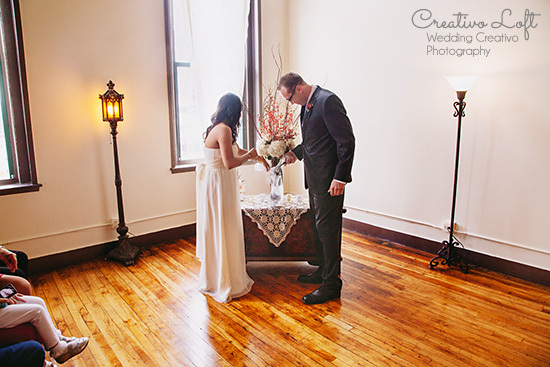 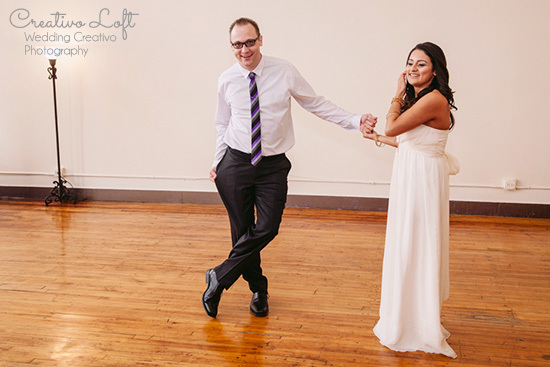 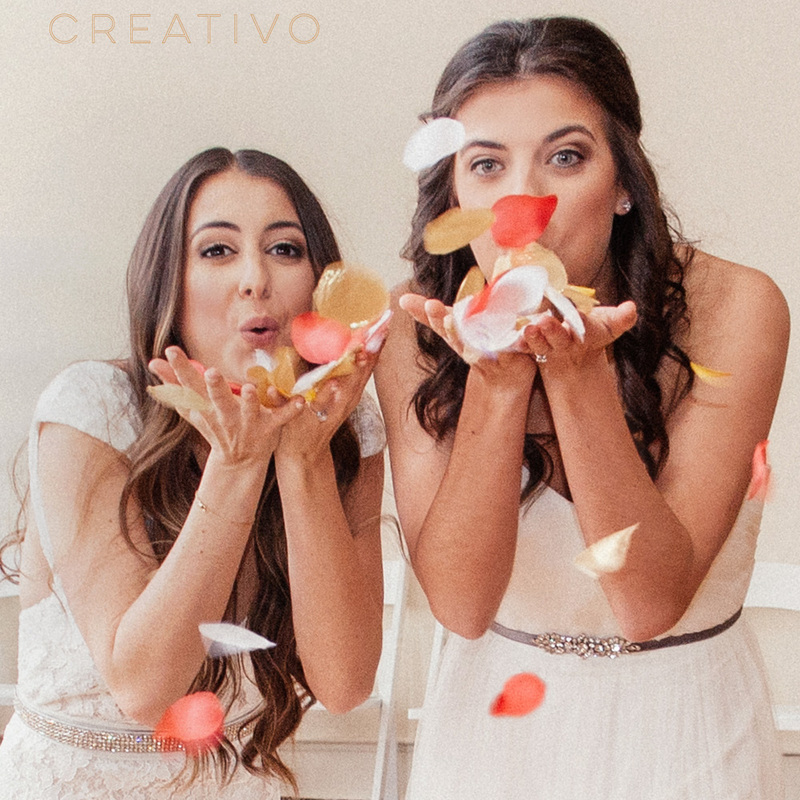 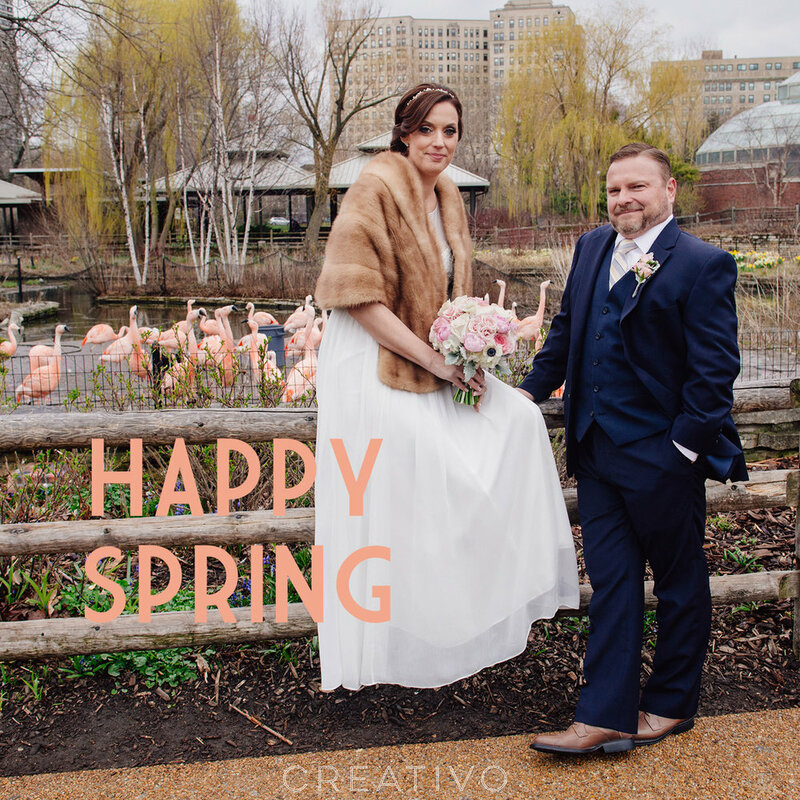 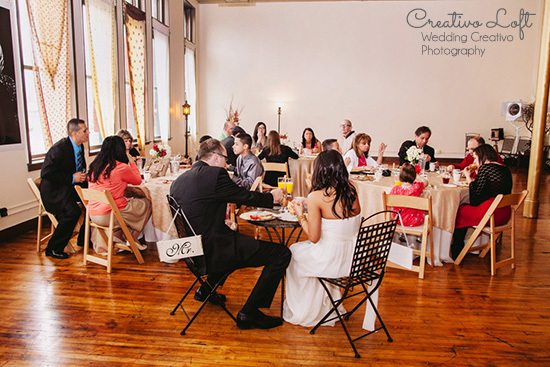 Jake and Vanessa celebrated a spring wedding which included a few of their own very cute personal touches, including a time-capsule type guest book idea, and lovely rustic-stye decorative details that went well with our own in-house vintage decor at Creativo Loft. 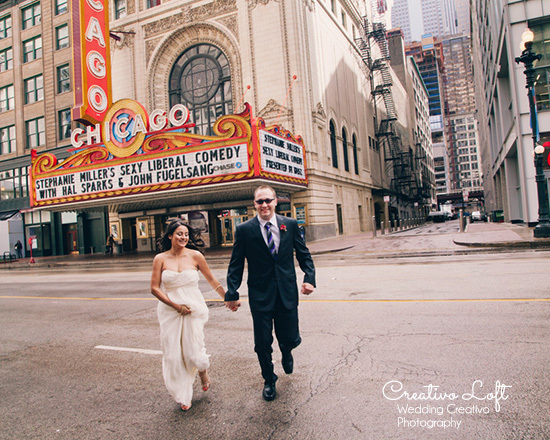 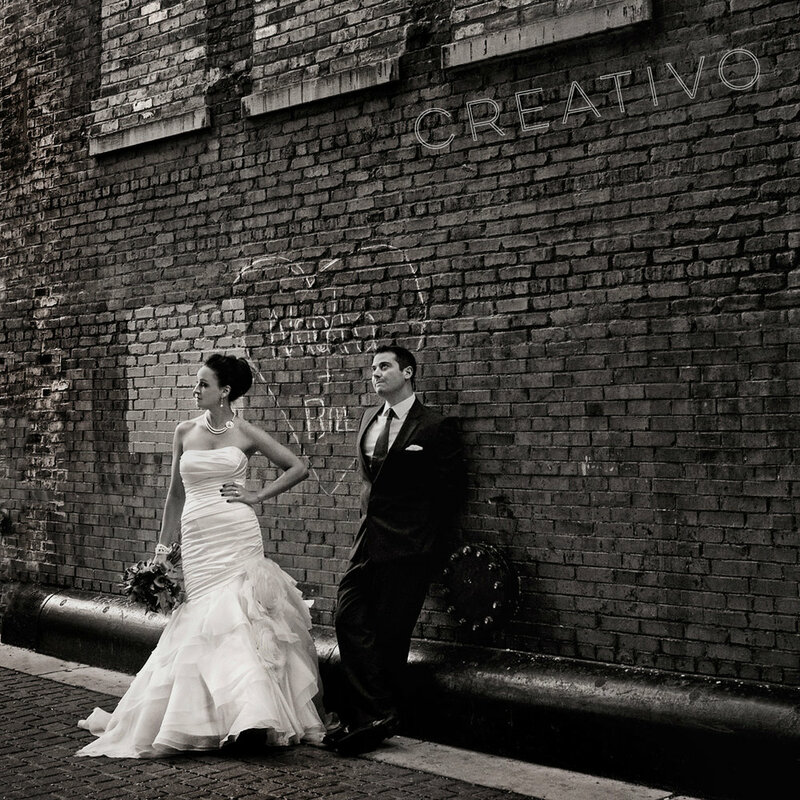 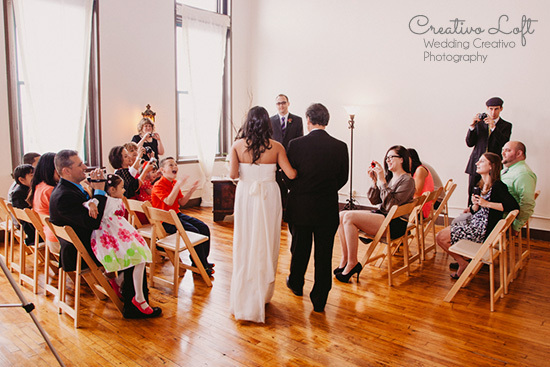 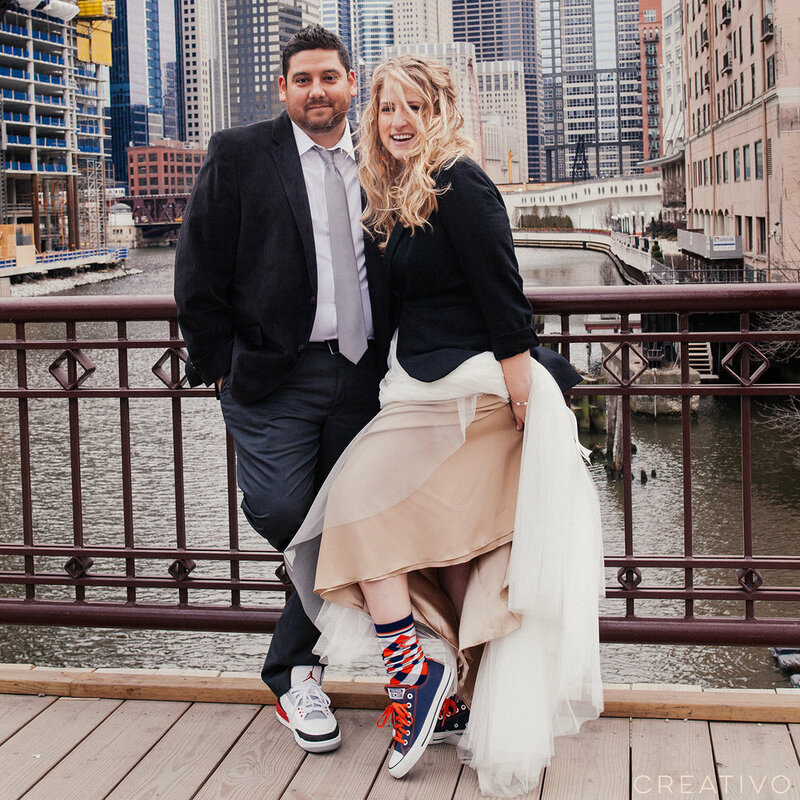 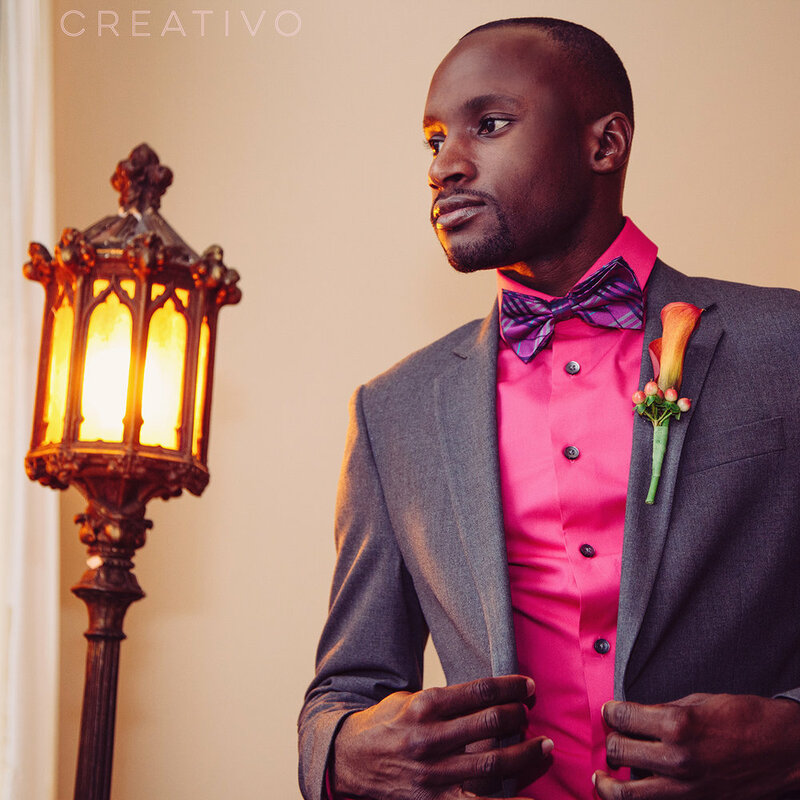 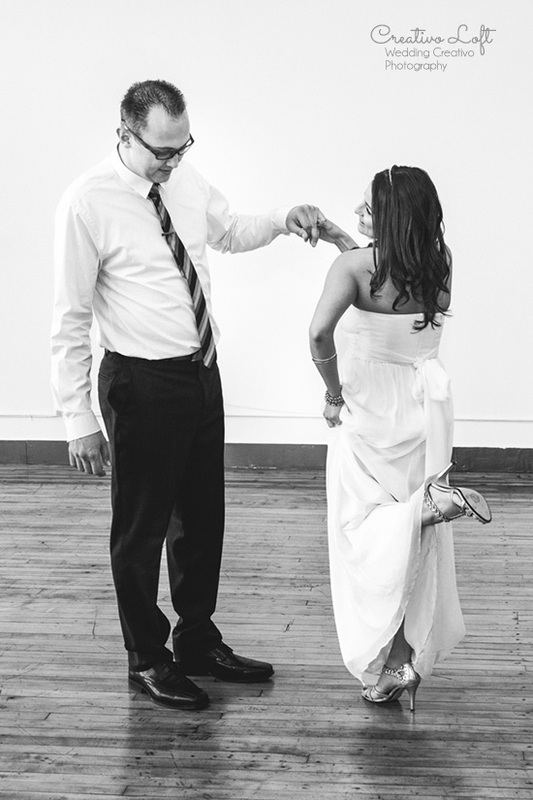 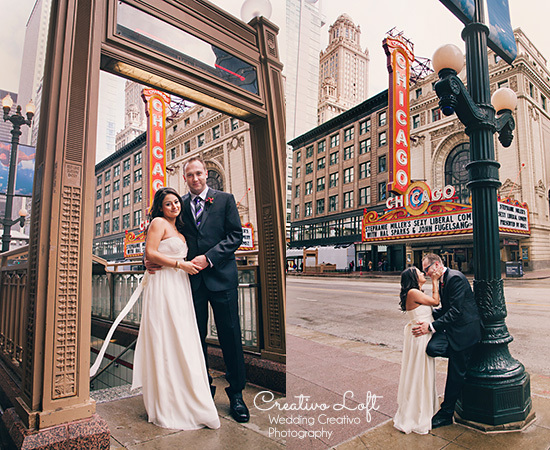 First, they started the day with some classic Chicago city portraits with Wedding Creativo photographer Giorgio, then were joined by a small group of family and friends here for the ceremony and brunch reception. 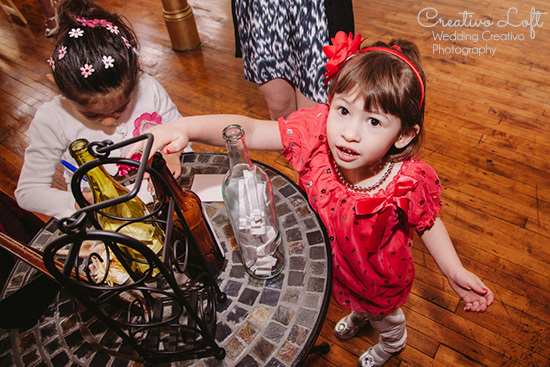 We loved their alternative guest book idea, which was a unique message-in-a-bottle display. 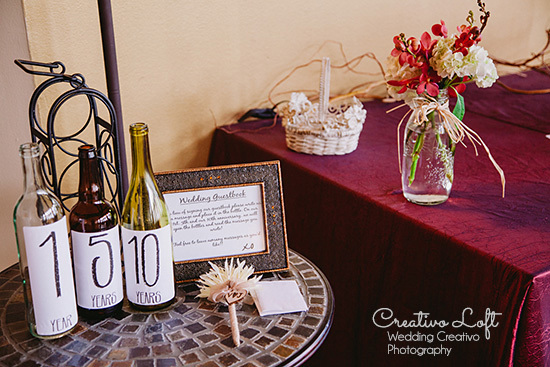 Each bottle was marked with a milestone anniversary year and guests wrote notes to the bride and groom for them to read on those anniversaries. 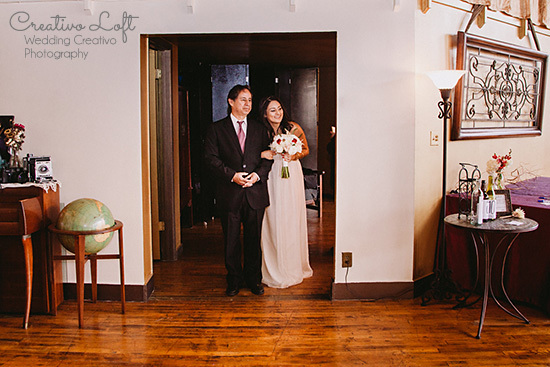 The bottles will be a lovely display in their home and beautiful reminder of their intimate marriage celebration for a lifetime. 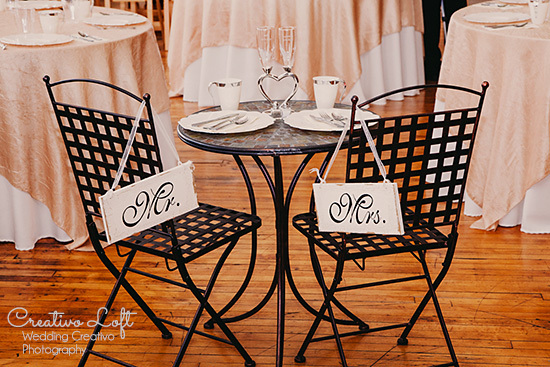 Vanessa also found lovely rustic wood signs with "Mr." and "Mrs." designations for their sweetheart table. 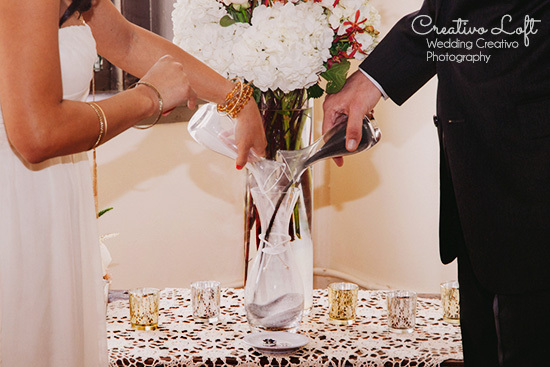 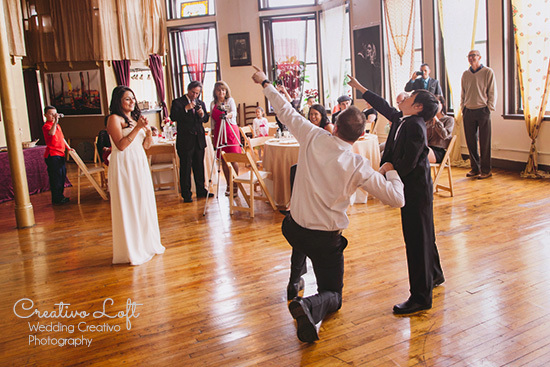 Her mother gifted the couple with the joining champagne flutes that went on the sweetheart table as well. 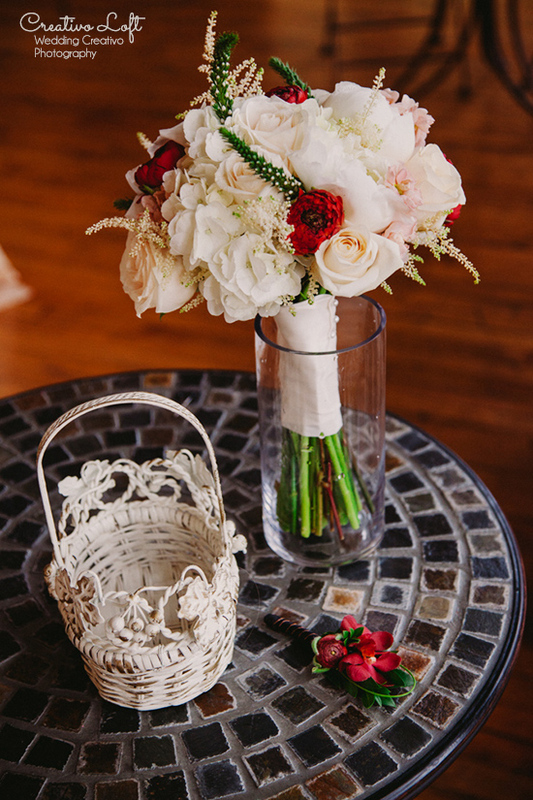 For the overall details, ivory and red were used for accent colors for the beautiful flowers from Steve's Flower Market, with rustic red ranunculus, white hydrangea, and creamy blush roses. 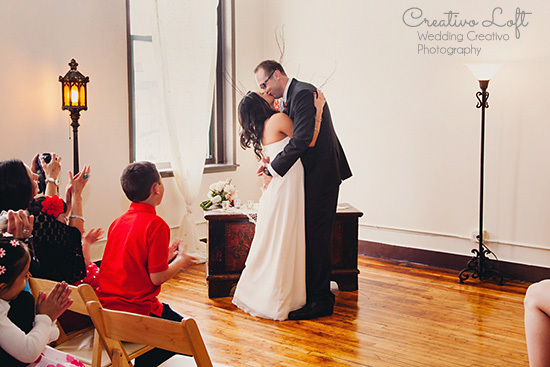 The adorable cupcake toppers had tiny red bows and quoted the classic Beatles song "All You Need is Love." 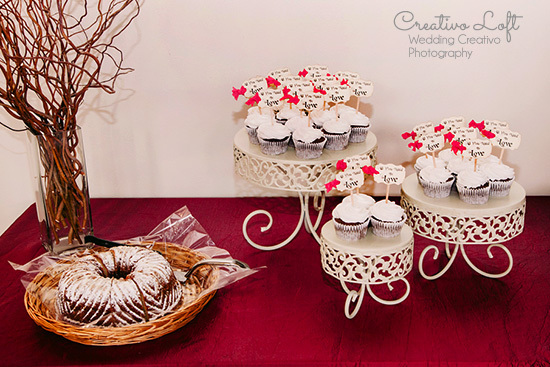 Luscious Layers made the delicious Red Velvet cupcakes, which the intimate gathering of family and friends enjoyed following the breakfast brunch.